"They don't spark strong feelings — except maybe chagrin that they cost so much"
The absence of a striking new feature left major tech blogs and newspapers lukewarm on the new XS range of Apple Inc's iPhones in the first batch of reviews this week, although most praised the improvements to a wide range of standard features. The new iPhones have subtle additions to last year's reimagined iPhone X, the tenth anniversary phone, and do not look very different aside from the ginormous size, several reviewers said. In her review of the phones, Wired's Lauren Goode said the phones were "an evolution, not a revolution." "They don't spark strong feelings — except maybe chagrin that they cost so much," Goode said. 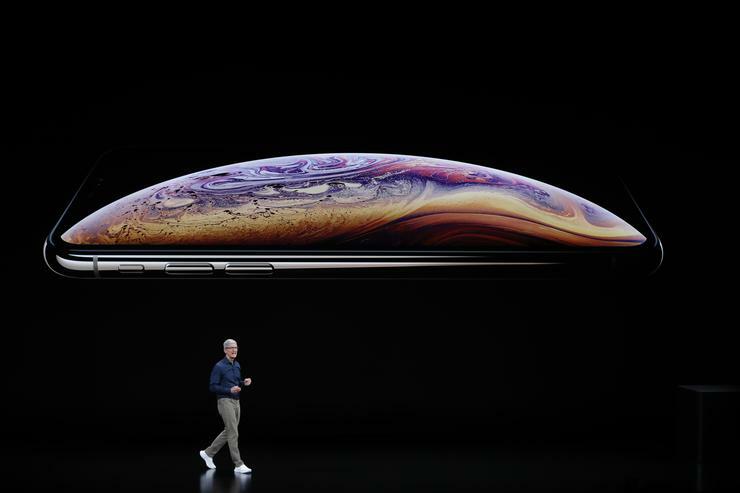 The iPhone XS, pronounced "ten S," and XS Max were launched on Sept. 12. The XS has a 5.8-inch screen, and starts at $999 while the XS Max, the largest iPhone to date has a 6.5-inch screen, with a base price of $1,099. The phones, however, do possess an advanced chip, which makes the facial recognition feature even smoother. They also have a new image sensor and processor, incremental changes to the X that allow for better photography. A bright spot in an otherwise low-key upgrade is the dual SIM support, a feature that the company's much-touted iPhone X did not have. Apple has also included eSIMs, a technology currently in Apple watches and cellular iPads. "The iPhone XS and XS Max follow in the footsteps of S-year iPhones -- they're faster, with better camera hardware ... but except for dual SIM support, there isn't a brand-new feature like Touch ID or 3D Touch this time," CNET's Scott Stein said. Apple also expanded storage capacity in its latest models, with 256 GB and 512 GB capacity now available. The biggest iPhone with the largest storage will cost $1,449 and that did not go unnoticed by the reviewers, with many observing that a 512 GB XS Max was actually more expensive than some MacBooks. "This is a premium phone with an even more premium price tag," TechRadar's John McCann wrote.